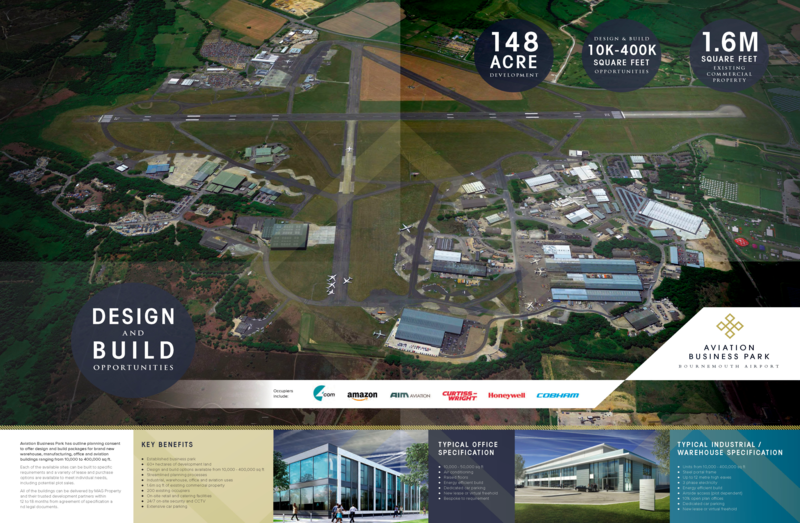 Brief: Publicise an industrial and logistics development adjacent to Bournemouth Airport. 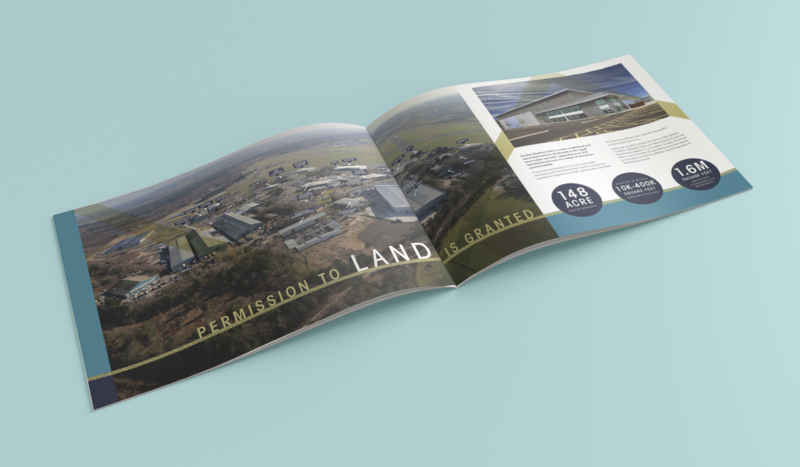 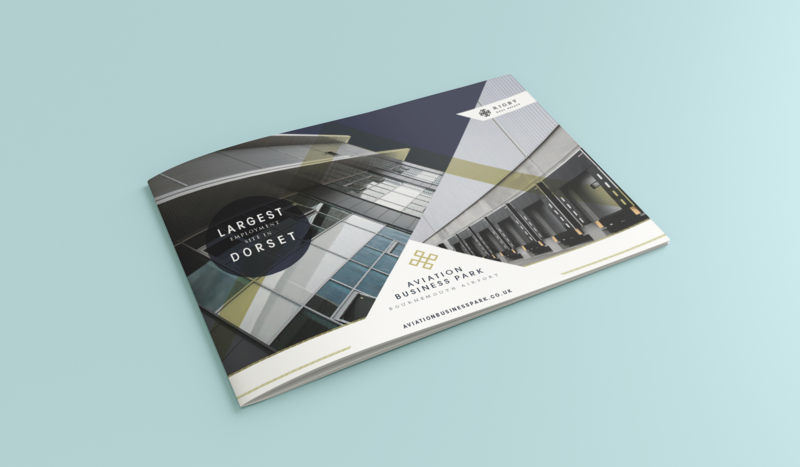 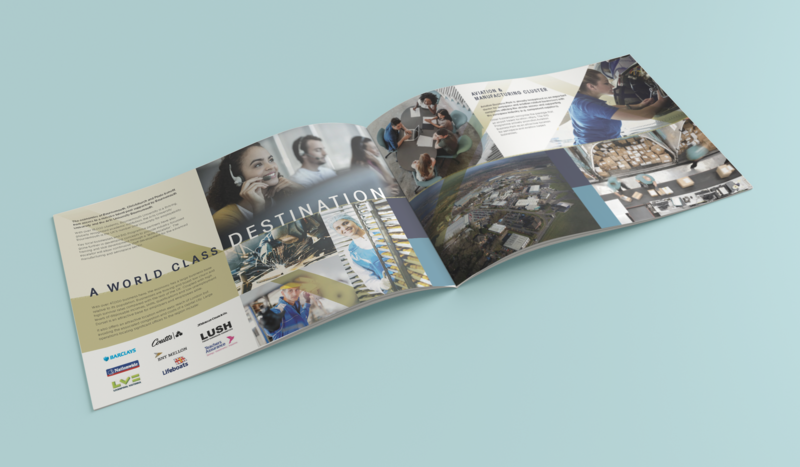 Solution: A 12 A4 page brochure featuring an A2 sized fold out centre section. 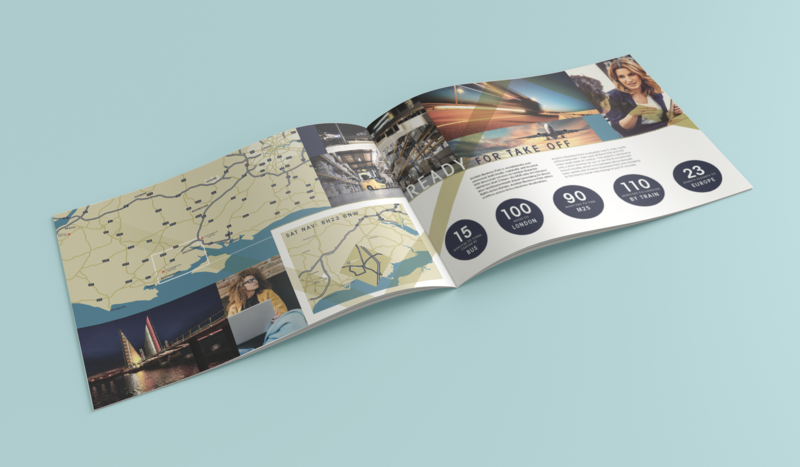 Involvement: Concepts, graphic design and art working.